Legendary writer, publisher, and editor of Marvel Comics, Stan Lee, passed away in Los Angeles on Monday, November 12th. He was 95 years old. 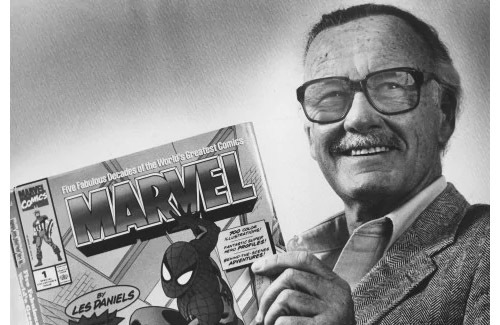 The real-life superhero and pop culture icon is remembered by his extraordinary legacy with Marvel Comics, home to hundreds of well-known superhero titles including Spider-Man, the X-Men, Iron Man, Captain America, Thor, and the Fantastic Four. These superhero titles have since been brought to the screen, and were adapted into numerous cartoons, TV dramas, and film, most notably the Marvel Cinematic Universe. In May 2017, Lee visited China and told reporters that he intended to break into the Chinese market. Lee shared that he was in the midst of creating a story set in China, with one male and female Chinese superhero. Creative juices swirling, Lee said he had no intentions of ever stopping. “Greedy” about his career, Lee said he would keep on creating as long as he could. 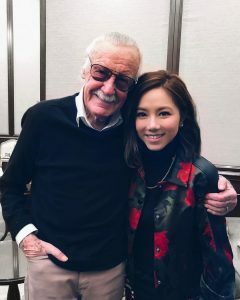 “Stan Lee, another legend has left us,” wrote Jackie Chan (成龍). “We met many years ago in America, and I approached him with the mindset of a fan to his idol. At the time, he told me he would like to help make a Chinese superhero film with me. Many years later, we still wanted to fulfill that wish. Good bye, superhero. Thank you for leaving this world with heroic dreams, and I’m sure the legacy will continue on. It will never be forgotten. Btw, both he and his wife died at the same age of 95 years old. His wife passed away last year. They have been married for 70 years.